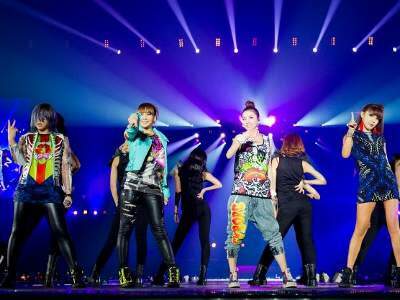 16 Sep – 2NE1 became the first girl group to be listed on the Billboard Boxscore, ranking the 29th place on the Boxscore for their US concert. According to Koreaboo website, the YG girls were listed at the 29th spot for their standalone concert on 24 August. The concert accumulated a total of USD 653,716 in revenues with 6,680 out of 6,714 tickets were sold. Other Korean star to have been on the chart includes Im Jae-bum. Although SMTown concert was also listen in the Boxscore, 2NE1 is the first Korean girl group to be ranked on the chart for their world tour. Boxscore is a chart that ranks concerts in the last three months based on information given by promoters worldwide. It also includes ticket sales figures and the total of concertgoers in order to produce the ranking. Meanwhile, 2NE1 is currently on their Japanese tour, drawing 36,000 fans to their performances at the Osaka Castle Hall from 31 August to 2 September. The tour will continue in Nagoya Nippon Gaishi Hall (7 and 8 September), Yokohama Arena (11 and 12 September) and Saitama Super Arena (29 and 30 September).